Lincoln Electric Chopper Technology® provides easy starts, a smooth arc, low spatter and excellent bead appearance. Skewed rotor design provides AC power suitable for operating Lincoln Electric inverter power sources. Choose the Ranger® 305 D for extended fuel efficiency and compatibility with diesel-powered fleets. 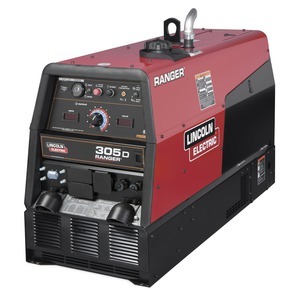 The 305 D is equipped with a 10,000-watt single-phase AC generator that powers motor starting, tools and inverter welders for extended range and process capability. Meets all EPA Tier 4 requirements. • Excellent DC multi-process welding for general purpose stick, downhill pipe (stick), TIG, cored-wire and MIG (CO2 and mixed gas). • Compact gasoline welder in North America rated at 29V for 300 amps of stick or CV welding. • CV wire welding with up to 5/64 in. (2.0 mm) diameter electrodes. • Digital weld meters for amps and volts makes it easy to precisely pre-set your procedures and monitor actual welding output. • Lincoln Electric Chopper Technology® – provides easy starts, a smooth arc, low spatter and excellent bead appearance. • 10,000 watts peak for motor starting. • 9,500 watts continuous for high capacity needs such as a back-up generator, powering a Lincoln Electric Invertec® inverter welder. Also use for lights, a grinder or other power tools. 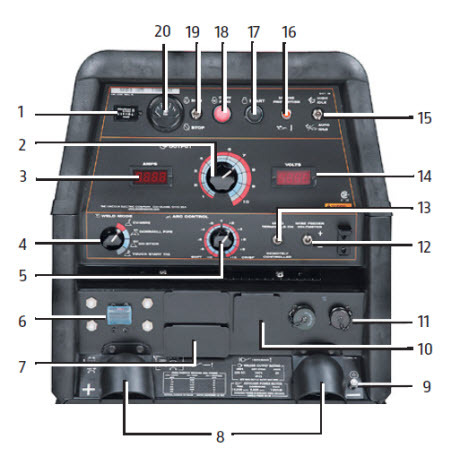 • AC generator voltage is constant at 120V or 240V at any weld dial setting. • Skewed rotor design provides AC power suitable for operating Lincoln Electric inverter power sources. • Welding and AC Generator Outputs rated at 104ºF (40ºC). • Water-cooled for low noise. Magnum® SG Spool Gun, Air-Cooled, 25 ft.